At the BSW Energy HQ we are extremely lucky to be located in beautiful grounds that overlook a vineyard in Scaynes Hill. For years we were visited by two peacocks which the team fondly named George & Laurence. A few years ago, the number of visitors reduced to just the one peacock (we are hoping the other one is just on vacation somewhere nice). 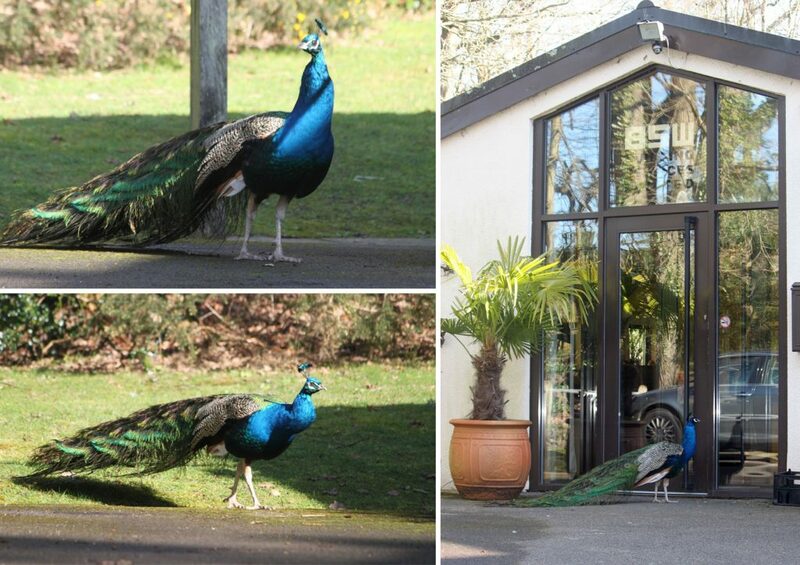 Nobody is 100% sure which peacock still visits us so you’ll hear members of staff referring to him by different names depending on preference. 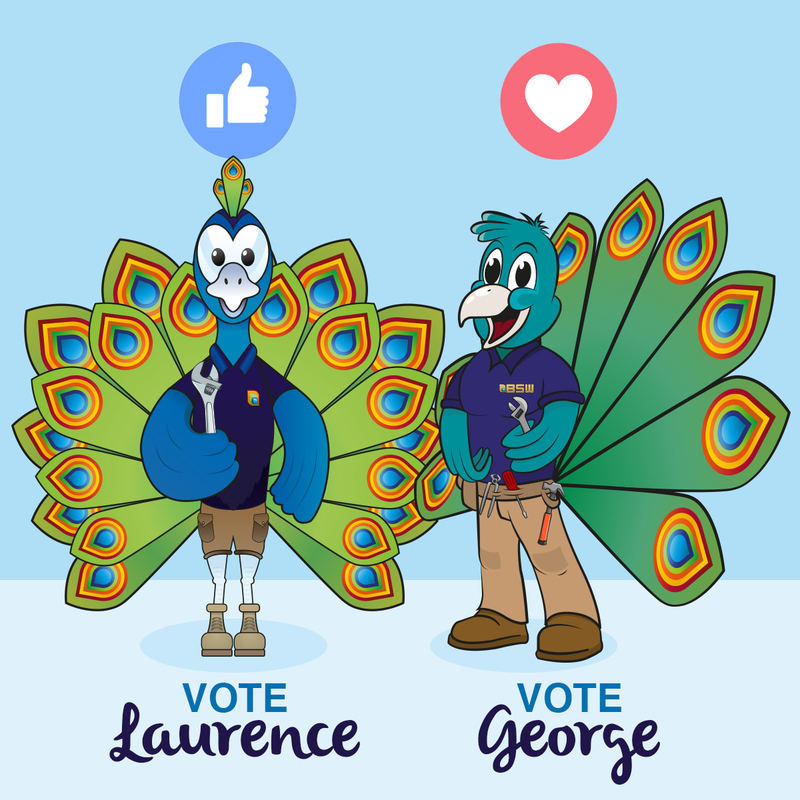 We decided as a business that we would like a character to be created as a mascot to use on marketing material and a peacock was the obvious choice. Watching the character come to life from initial rough sketches into two distinct characters to pick from was an enjoyable process. After the drawing phase, we had two complete characters to choose from. Opinion was split within our main office so we turned to the wonderful wisdom of Facebook users to ask a much wider audience for an impartial opinion. After a 1 week vote, using this image as the source for the vote, we had a clear winner with 58% of the vote – George! There was however, an overriding opinion that the name Laurence was better suited and there were also numerous suggestions about possible improvements or specific details from one design that would work better on the other. 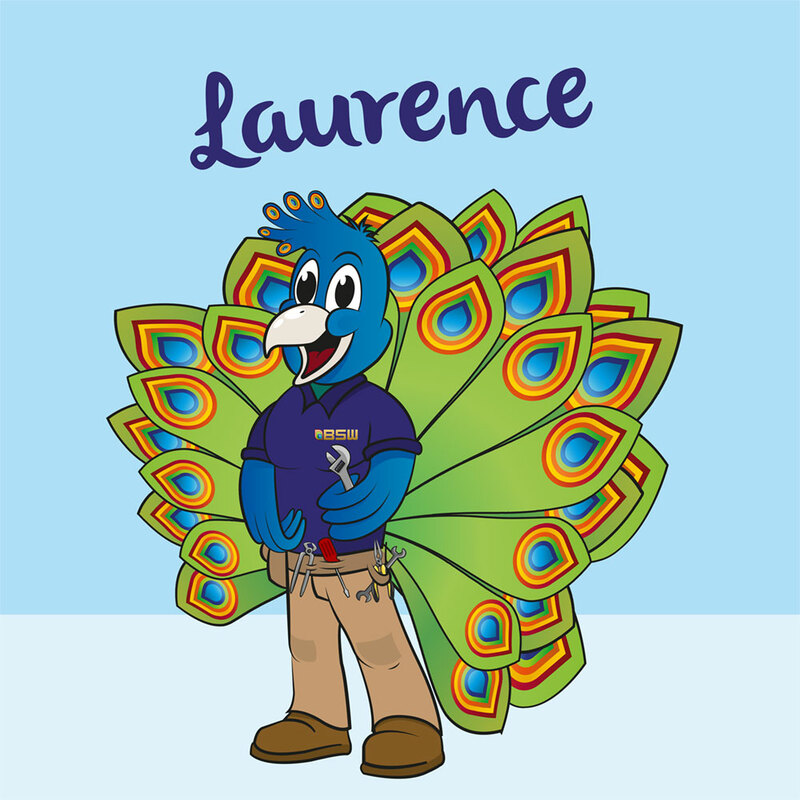 So without further ado, we have great pleasure in introducing the new BSW Energy mascot – Laurence!